How to be a Summer Sell Out! Hints and tips on how to make sure your business concession is busy during the festival season this summer. The summer season may seem a little far away at the moment, but unless you are already planning your retail strategy for selling at your concession stand this summer, you are a little behind the curve. Don’t panic! we have some great tips and advice to get you caught up and back on track. We can help you ensure whatever or wherever you are selling you are sizzling hot and sold out by the end of the summer season! No matter what you are selling or promoting, you need people to see you. With this in mind, location is the key consideration for your summer concession stand. Your product or service will dictate which festivals or events will make the most effective collaborations for your business. If you make smart tweed jackets then head for county shows, if you sell the latest and greatest in delicious hangover food then musical festivals are for you. Perhaps you produce a fantastic beer in a local micro-brewery, then off to the beer festivals you should go. Remember however that there is no one size fits all approach. As long as the event you choose has a sizable demographic that will enjoy your product then go with it! If you want an expert to help you partner with festivals and events that match your product or service offering then talking to www.placeexperts.co.uk will ensure you get the coverage you need at the events you want with a minimum amount of fuss. One of the main ways we ensure that your concession stand is busy is to let people know you will be there in advance. This makes your concession a destination in its own right. Place Experts get your product or service on all social media channels in advance of the festival and track the hashtags used by the festival or event organisers. You can join in their conversations to ensure your business reaches the customers coming to the event. We get confirmation from the organisers that you are listed on their website and that you are included as a trader in any pre-event marketing materials (e.g. Newsletters). Another way you can ensure reach is to try running advance promotions to get you noticed – for example online competitions with prizes that can only be picked up at the festival etc. 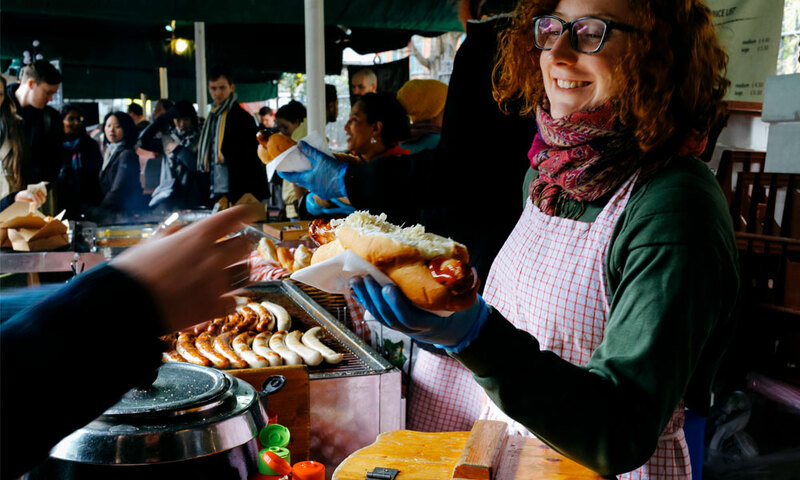 Making your concession stand out amongst all the other concessions at an event or festival can be a challenge, but one that you can plan for to ensure you are successful. Curating what you offer to the festival or event you are at can make a real difference. For example, if you run a food stand at a music festival, create a new dish or rename a dish to include the festival name or a headline act etc to make a connection with your place and your customers. You can then repeat at the next festival with a slightly different twist. If you sell products, think about creating a product specific to that festival or event. For services look at how you can combine or upsell services themed around the event you are at. By having a strong pre-event marketing strategy and a curated offer for the type of customers at the event, you are already creating a great basis on which to build a really successful festival period. That said, you still have to drive traffic to your stand when you get there. A good location always helps and at a busy festival foot traffic alone will bring in sales. Place Experts work with a number of festivals and can ensure great pitch locations within leading events and festivals across the UK. Enthusiastic staff are also a must. Getting them to walk about with festival goers handing out free samples/flyers/tokens etc will help. Make your pitch stand out from the crowd by using bright bunting, balloons or flags so people can see you and maybe use you as a land mark or meeting point. If you sell Yoga products, try offering a free mini yoga lesson in the mornings, if you sell burgers try and organise a burger eating competition. Whatever you want to offer we carry out all checks and get permissions before the event goes ahead with the festival organisers. To encourage repeat custom, even at shorter weekend event, give out tokens for a free item (e.g. drink or side dish) Ensure that you have deals on offer, so you can sell more or upsell, 3 for the price of two etc, to encourage more sales. To be a summer sell out ensure you have a strong marketing plan pre-event, during the event and post event if possible. When the event is finished take a little time to think about what worked well and what you would change and tweak for the next one. As we mentioned above the real key to a successful summer concession stand is location and Place Experts are the team to help you with that. Visit our website at www.placeexperts.co.uk to talk to us about how we can place you with events and festivals that fit your brand in 2018 and beyond.